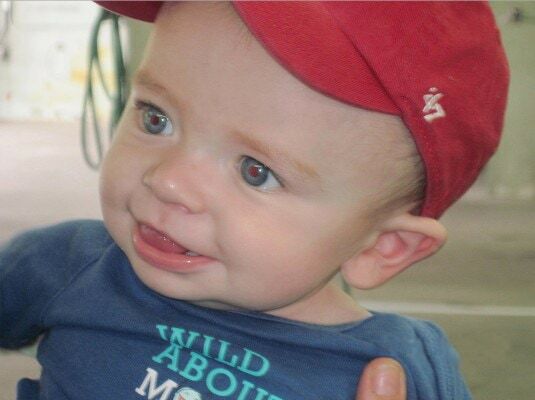 On October 13, 2015, Cops For Kids With Cancer, went to the Newton Fire Department and made a $5,000 donation to the family of John Morris, a 7 month old boy from Newtonville, who has Neuroblastoma. In photo from left to right, Bob Faherty, Chief of Dept. Bruce Proia, father John, John, sister Madison Mother Colleen, Bob Guiney Director CFKWC, and Police Officer Tracy Krekorian, Waltham PD.